A philosophy of education statement, sometimes called a teaching statement, should be a staple in every teacher's portfolio. For elementary school teachers, the statement is an opportunity to define what teaching means to you, and allows you to describe how and why you teach as you do at the early stages of learning. 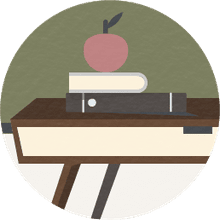 The following tips and philosophy of education examples for elementary teachers can help you write an essay that you'll be proud to have. A philosophy of education statement is an opportunity to define what teaching means to you, and to describe how and why you teach as you do. Articulating this statement in the first person and using a traditional essay format (introduction, body, conclusion) will help you craft an enduring and inspiring personal statement. Unlike other kinds of writing, educational statements are frequently written in the first person because these are personal essays on your chosen profession. In general, they should be one to two pages long, though they can be longer if you've had an extensive career. Like other essays, a good educational philosophy should have an introduction, a body, and a conclusion. Introduction: Use this paragraph to describe your views on teaching in a general sense. State your thesis (for example, "My philosophy of education is that every child should have the right to learn and get a quality education.") and discuss your ideals. Be brief; you'll use the following paragraphs to explain the details. Think about aspects of early education that are unique to elementary teachers, and introduce these ideals into your writing. Body: ​Use the following three to five paragraphs (or more, if needed) to elaborate on your introductory statement. For example, you could discuss the ideal elementary classroom environment and how it makes you a better teacher, addresses student needs, and facilitates parent/child interactions. Build on these ideals in the following paragraphs by discussing how you keep your classes aware and engaged, how you facilitate age-appropriate learning, and how you involve students in the assessment process. Whatever your approach, remember to focus on what you value most as an educator and to cite examples of how you've put these ​​ideals into practice. Conclusion: Go beyond simply restating your educational philosophy in your closing. Instead, talk about your goals as a teacher, how you have been able to meet them in the past, and how you can build on these to meet future challenges. Philosophy of education documents for elementary teachers are very personal and unique to the individual. While some may have similarities, your own philosophy should focus on your personal approach to pedagogy and classroom management. Focus on what makes you unique as an educator, and how you wish to advance your career to further support elementary education. Brainstorm about your educational philosophy and your views of education, making notes on those principles you value most. This can help you articulate your philosophy as you organize your essay. Demonstrate how you have put your educational philosophy into practice in the classroom by citing specific examples and outcomes with students, parents, or fellow teachers and administrators. Reflect on your experience over your career. Most likely, your teaching philosophy has changed over time. Reflect on the opportunities and challenges that lie ahead, and how you intend to meet them. Connect with others and talk to your peers in the field, as well as mentors. Ask them about how they crafted their essays and ask them to review yours once you complete it. Having people who know you and your teaching style well review your work can help you craft a truly representative statement. Review a few sample essays to help you as you begin writing your own. Applying for a brand new job isn't the only time you need an educational philosophy. If you're seeking a promotion or are applying for tenure, you'll need to craft or update your educational philosophy statement. As time goes on, your approach to education and classroom management will likely evolve, and so will your beliefs. Updating your philosophy allows you to articulate your professional motivations and goals, as well as your approach to educating others so that observers can have a better sense of who you are, even without observing you in the classroom. Consider reviewing your philosophy every few years.